New Moves by Alexander Dinerchtein 3 dan & An Younggil 8 dan: Twenty-five new opening moves are examined carefully, looking at various possible variations in responses and continuations. This book will enable you to surprise your opponents. The Monkey Jump by Richard Hunter: Suitable for both kyu players and dan players, this is a completely rewritten and greatly expanded version of the popular Monkey Jump Workshop. Includes 147 problems. 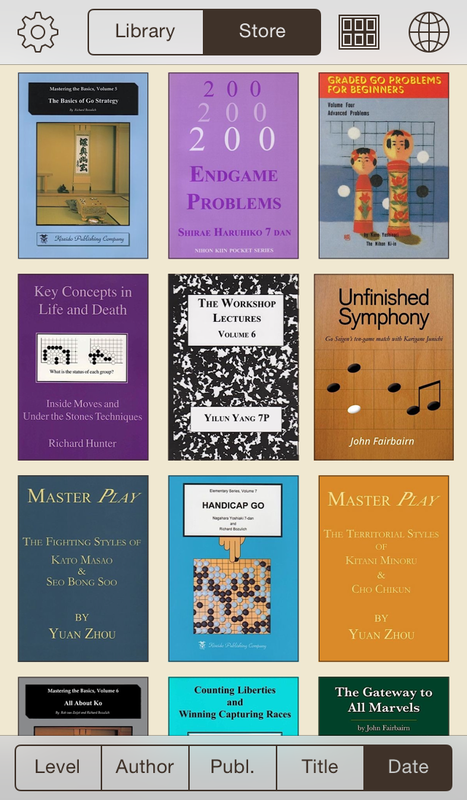 Playing the Endgame: A Brief Introduction by William S. Cobb: This pocket sized book introduces important concepts that you need to know to begin playing the endgame effectively. Also, Board N’Stones has added a Dutch translation of “Black to Play! Train the Basics of Go (30-25 Kyu)”, so you can now choose to read that book in German, French, Spanish, Dutch, and English. There is more work in Go Books behind the scenes, but not quite ready to be revealed yet. For now, enjoy the new features and books, and stay tuned.